It happens: even with the login helper that CoachAccountable provides, sometimes your clients can’t get themselves logged into their account. As coach you always of course want to ensure your clients are having a great experience in all facets of working with you, so helping them get logged in is a natural thing to want to do. For security purposes the username and password of your clients are strictly their own, so you can’t let them know what they are or reset their password upon request. There are a few things you can do, though. 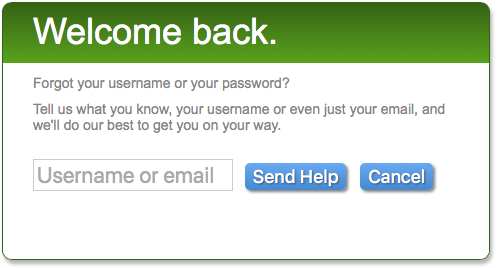 The login helper gives your clients (and you, it works the same for everyone) a choice of what to recover based on what part of the login is forgotten, username or password. When you provide an email address the system can look up the associated username and send it to the address provided. If there is no username account tied to the email address you provide, the system will let you know in the message it sends. 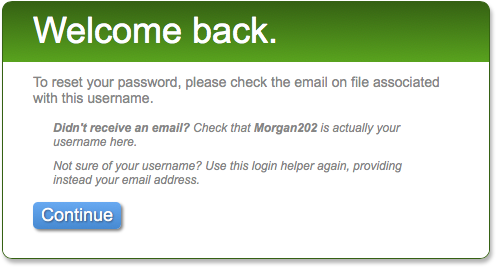 When you provide a username, the system sends an email with a magic link by which to log in automatically, which of course makes it possible to reset your password. It’s SUPER common for folks to not read this whole message. Sigh. To prevent nosy or malicious parties from fishing around to see if certain individuals have an account (by guessing at plausible usernames), the system DOESN’T tell you whether or not the username you entered actually exists: the above is the same message whether CA recognizes the username or doesn’t. The above is a general lesson on how to use the login helper to one’s self back in, and it applies to coaches as well as clients. If your client is having trouble, you can always remind them of the email address on their account and from there they should be able to use the login helper to get the rest of the way using the two steps: first get the username, then use the username to get the login link..
All that said, you yourself as coach can send your client a Message through the system that contains a magic login link to get that client right into his or her account, just include the [loginLink] magic tag anywhere with the body of the message and send it their way. 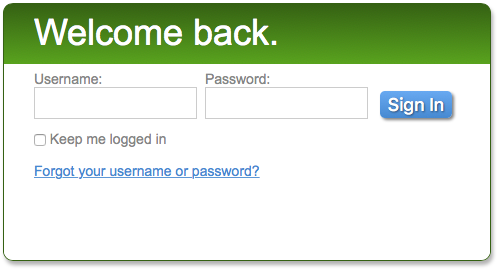 Once in, they’ll be able to visit their My Account page to confirm their username and, if needed, reset their password. One thing to note: if you CC yourself on this message, the [loginLink] will remain a [loginLink] in the email you receive. Rest assured your client got an actual login link. The reason you didn’t is because that would be quite a security hole if you could send yourself a login link for your clients’ accounts! Thus you have two things you can do when your client can’t access their account. Granted the second approach is much more direct, BUT that requires you to be involved each time. If your client has trouble logging in I recommend you get them right in with a Message containing a login link, AND you let them know how to help themselves in the future by using the login helper, making them aware of the common gotcha so that they’ll be successful with it (because presumably they weren’t if they’re telling you of their problem).